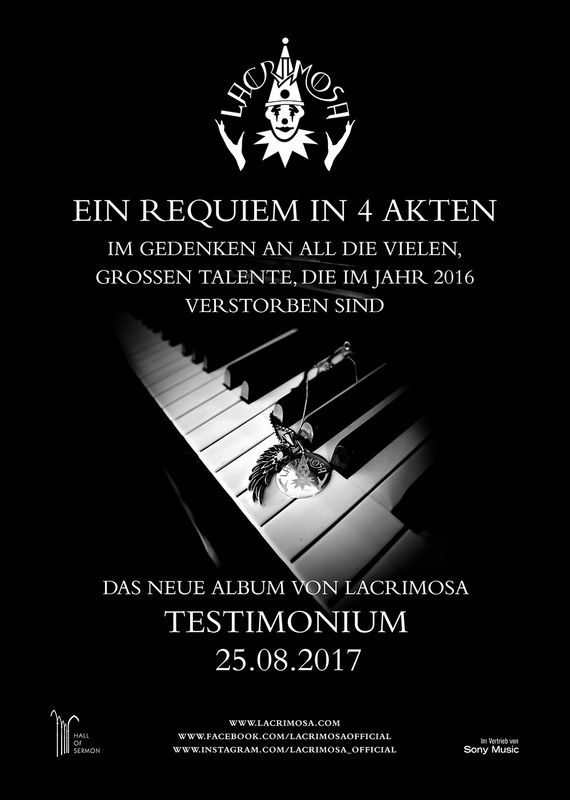 The new album of LACRIMOSA will carry the name “Testimonium” and it’ll come out on August 25th 2017! And to prevent further speculation: this is not a cover album or the like. “Testimonium” is a requiem that I wrote in memory of the deceased artists, under the impression of their works, and in the mourning of their passing.